With high flex designs with radial dirt lips and dual spring lip designs for input/output seals as well as unitized solutions, iIt can increase the adaptation to the axial hunting and deviations. Used in the auto steering driving mechanism, vehicle-bridges,and drive shafts in transmission. 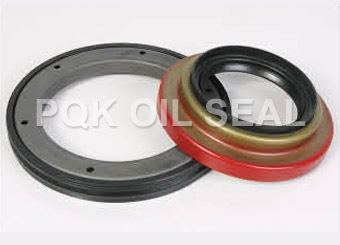 Zhejiang Shangyu Oil Seal Co.,Ltd is a leading China duty axle wheel oil seal manufacturer and supplier, our duty axle wheel oil seal factory can provide customoers cheap duty axle wheel oil seal products. Welcome to buy discount duty axle wheel oil seal or wholesale products from us.